Tiny little fingers and tiny little toes. One of my favorite things about a newborn baby is their sleepy little yawn and the way they curl up and nestle against your chest. Our lifestyle newborn sessions are a relaxed peek into your family’s life at home as you cuddle up with your new baby. I will come to your home for a 1.5-2 hour session, and I will bring my camera and a few simple wraps for your baby. Sessions are calm and natural, without any posing, as we capture those tender moments between your family and your new baby. These sessions are ideal if you have plenty of natural light flowing through the windows of your home. We will need a clean and uncluttered space for the photographs, and I ask that you tidy up the nursery and the master bedroom before I arrive. 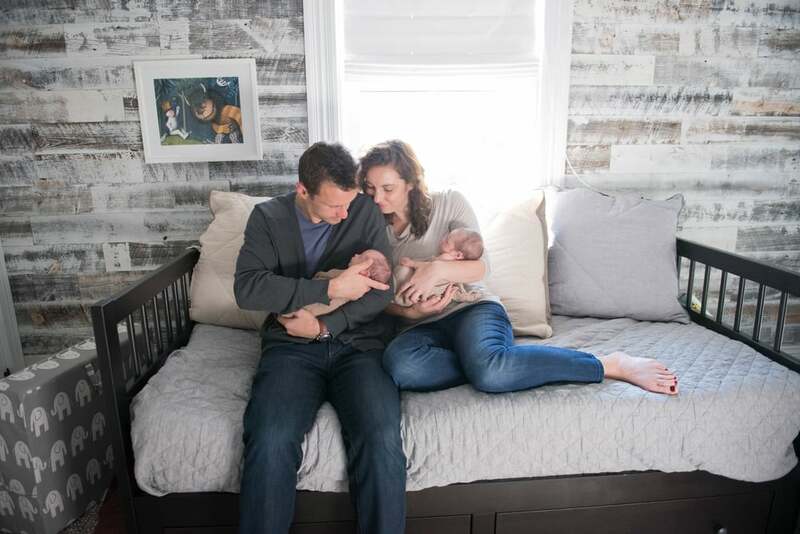 We’ll capture some photos of you cuddling with your baby in the nursery, your baby in their crib, and all of the tiny decorating details that you thoughtfully and lovingly set up in your baby’s room during those last weeks of your pregnancy.